In the 2015 New York Times obituary celebrating his life, Harold Feinstein was declared “one of the most accomplished recorders of the American experience”, and yet much of his photography is principally unknown. That is now beginning to change. 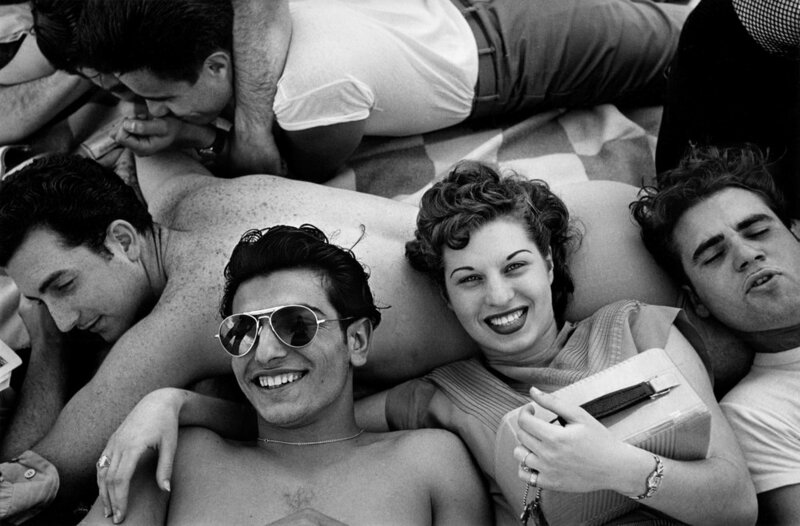 A renaissance of his remarkable work is currently underway as evidenced by the feature length documentary Last Stop Coney Island: The Life and Photography of Harold Feinstein which had its world premiere at DOCNYC to a sold out crowd. The film will premier in London on May 15th at Dochouse at Curzon Bloomsbury, timed to coordinate with the first ever UK exhibition of his work, Found: A Harold Feinstein Exhibition, curated by art historian Carrie Scott at The Store X, which opens on May 14th. Born in Coney Island in 1931, Feinstein left school to begin photographing at the age of 15, and became one of the most prominent figures in the vanguard of the New York City street photography scene, joining the famed Photo League when he was 17. At the age of 19, Feinstein’s work was acquired by Edward Steichen for the Museum of Modern Art (MoMA). He was included in shows at the Whitney Museum of American Art in 1954 and at the Museum of Modern Art in 1957. Feinstein also had a solo show at the legendary Helen Gee’s Limelight Gallery in 1957. Despite this early success, however, Feinstein’s extensive collection of classic street photography, nudes, portraits and still life has seldom been exhibited. Thanks in part to the black and white monograph, Harold Feinstein: A Retrospective (Nazraeli, 2012), Feinstein is today starting to receive the critical and public attention he so deserves. The Kickstarter campaign to fund the book in fact put Feinstein’s work on the map for Director of Last Stop Coney Island, Andy Dunn, who backed the campaign and upon receiving the book years later decided a film had to be made. Thereafter the exhibition will be open until May 26th by appointment only. Email info@carrie-scott.com to set a viewing time.